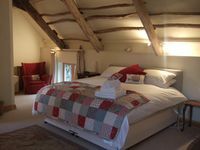 Milk Churn Cottage, perfect retreat, near Dartmoor & Coast. Grade 2 listed. Property 3: Milk Churn Cottage, perfect retreat, near Dartmoor & Coast. Grade 2 listed. Property 25: Boutique & dog friendly. A great, green world to relax in! Being inside Dartmoor National Park near the town of Widecombe-In-The-Moor was wonderful. The location itself was serene and peaceful, and a great base to see other parts of the Park. Cows, sheep, and Dartmoor ponies added to the lovely surroundings.